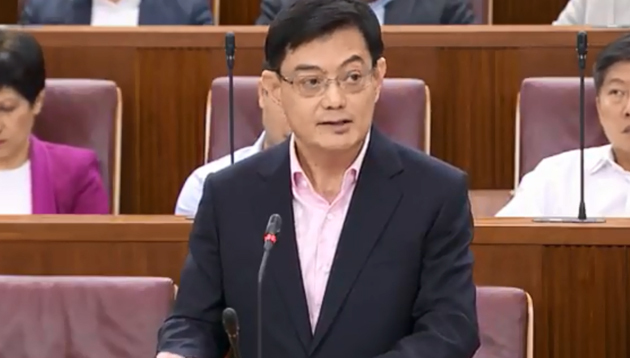 Minister for Finance, Heng Swee Keat, delivered the Budget for financial year 2018 in Parliament yesterday, citing the major shifts society is facing today – shift in global economic weight towards Asia, emergence of new technologies, and ageing. Against the backdrop of these major shifts, Minister Heng noted that Budget 2018 will aim to develop a vibrant and innovative economy, build a smart, green and liveable city, foster a caring and cohesive society, and plan ahead for a fiscally sustainable and secure future. Wage Credit Scheme extended for three more years, to fund 20% of wage increases in 2018, 15% in 2019, and 10% in 2020. This will cost about S$1.8 billion over the next three years. For Marine Shipyard and Process sectors, the earlier-announced increases in Foreign Worker Levy rates will be deferred for another year. Work Trial scheme to be upgraded into a Career Trial programme, with higher funding support for workers to try out new careers. 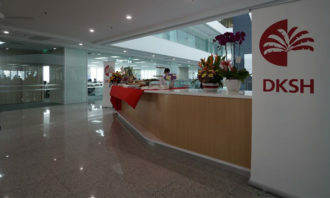 In April, the government will merge SPRING and IE Singapore into Enterprise Singapore. Enterprise Singapore will provide integrated support to companies, for internationalisation as well as the development of other capabilities, so as to help them compete better both locally and abroad. To help firms deepen capabilities, the government will integrate IE’s Global Company Partnership grant with SPRING’s Capability Development Grant, to form an integrated Enterprise Development Grant (EDG). The EDG will provide up to 70% co-funding for companies to build a range of capabilities. 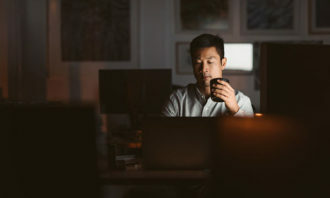 To help firms develop digital capabilities, the government is studying, with the Singapore Business Federation and other industry partners, the development of a nationwide e-invoicing framework. To train Singaporeans in digital skills, the government is looking at expanding Tech Skills Accelerator (TeSA) into additional sectors like manufacturing and professional services. 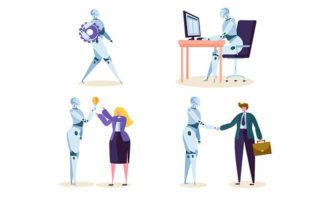 TeSA will also support more people to learn emerging digital skills, such as in data analytics, artificial intelligence, the Internet of Things and cybersecurity. An additional S$145 million will be set aside for TeSA over the next three years. A new ASEAN Leadership Programme will be launched under the SkillsFuture Leadership Development Initiative (LDI) will help Singapore business leaders better understand Southeast Asian markets, and encourage them to chart growth plans and build networks. Singapore Business Federation (SBF) and the Singapore Management University will pilot the SBF-SMU LEAD-CHARGE Initiative this year, to help SME leaders transform their organisations. Capability Transfer Programme will be piloted to support skills transfers from overseas trainers to Singaporeans, to plug gaps in skill sets that are lacking in certain important fields in Singapore. The government will support more firms to innovate across the entire value chain – whether they buy new solutions, build their own, or partner others to co-innovate. The government will support businesses to buy and build new solutions through streamlining existing grants for adoption of pre-scoped, off-the-shelf technologies into one Productivity Solutions Grant (PSG). National Research Foundation (NRF) and Temasek Holdings will launch a new investment venture, to groom start-ups based on IP created from publicly-funded R&D in Singapore. To drive greater adoption of digital technology, automation and robotics in our economy, the government will: 1) launch an Aviation Transformation Programme; 2) launch a Maritime Transformation Programme; and 3) expand the National Robotics Programme. To encourage our companies to form stronger partnerships, the government will integrate various partnership support measures into a single PACT scheme. Under PACT, companies can receive up to 70% co-funding, for projects undertaken in partnership with others. The government will anchor Singapore as a Global-Asia node of technology, innovation and enterprise. Firms and people can remain plugged into the latest developments, and create new ideas by interacting with people from diverse backgrounds. As ASEAN chairman, the Singapore government is working on an ASEAN Innovation Network to strengthen linkages between innovation ecosystems in the region. Infrastructure Office to be set up to bring together local and international firms from across the value chain – including infrastructure developers, institutional investors, multilaterals, and legal, accounting and financial services providers – to develop and finance infrastructure projects. Our Trade Associations and Chambers play an important leadership role. The Government will continue to support such efforts, through the Local Enterprise and Association Development (LEAD) programme. The government is building a Smart Nation Sensor Platform to deploy sensors and “Internet of Things” devices to enhance municipal service delivery. From 2019, carbon tax of S$5 per tonne of greenhouse gas emissions will be levied on major emitters across all sectors (facilities producing 25,000 tonnes or more of greenhouse gas emissions in a year). The government intends to increase this to S$10-S$15 per tonne by 2030. The government will set aside funds starting from 2019 to enhance support for companies, including SMEs and power generation companies, to improve energy efficiency. The support for companies will be done through schemes like the Productivity Grant (Energy Efficiency) and the Energy Efficiency Fund. To encourage corporate giving, the Business and IPC Partnership Scheme (BIPS) will be extended for 3 more years until 31 Dec 2021. SHARE as One scheme will be extended until FY 2021. Businesses that support their staff to volunteer and provide services to IPCs will receive a 250% tax deduction on associated costs incurred. GST to be raised by 2%-points, from 7% to 9%, sometime in the period from 2021 to 2025. Exact timing of GST increase depends on economy, expenditure growth and existing taxes. GST increase will be implemented in a progressive manner and the government will continue to absorb GST on publicly subsidised education and healthcare. Permanent GST Voucher scheme will be enhanced to provide more help for low income households and senior citizens. Expected to add S$2billion to support these payments this year. The government will implement an offset package to help Singaporeans adjust to the GST increase. Lower- and middle-income households will receive more support. GST will be introduced on imported services with effect from 1 Jan 2020. This will affect services such as consultancy and marketing purchased from overseas suppliers, as well as the download of apps and music from overseas. Imported and local services will be accorded the same treatment. There will be a 10% increase in tobacco excise duty with immediate effect. S$700 million of the surplus from FY2017 will be shared with all adult Singaporeans (aged 21 and above), who will enjoy a one-off SG Bonus ‘hongbao’ of S$300, S$200 or S$100, based on income for FY2017. The SG Bonus will be paid out to about 2.7 million recipients in end-2018. Those earning S$28,000 and below will get S$300, those taking home between S$28,001 to S$100,ooo will get S$200, and those earning above S$100,000 will get S$100. Overall, Budget 2018 will remain expansionary with ministries’ total expenditures expected to be $$80.0 billion – 8.3% higher than in 2017. On the whole, a slight overall budget deficit of $0.6 billion, or 0.1% of GDP is expected. Their focus on money is in line with their targets for the first five years after graduation: The number one goal is to buy proper.. If interviewers want quality responses to their questions, they might want to rethink what they have been asking. ..
We say we're busy for a number of complicated reasons, but when did being overwhelmed and seemingly helpless about it become some ..